SALT LAKE CITY (AP) - A Mormon church leader was removed from his post and kicked out of the religion Tuesday (Aug. 8) for the first time in nearly three decades. 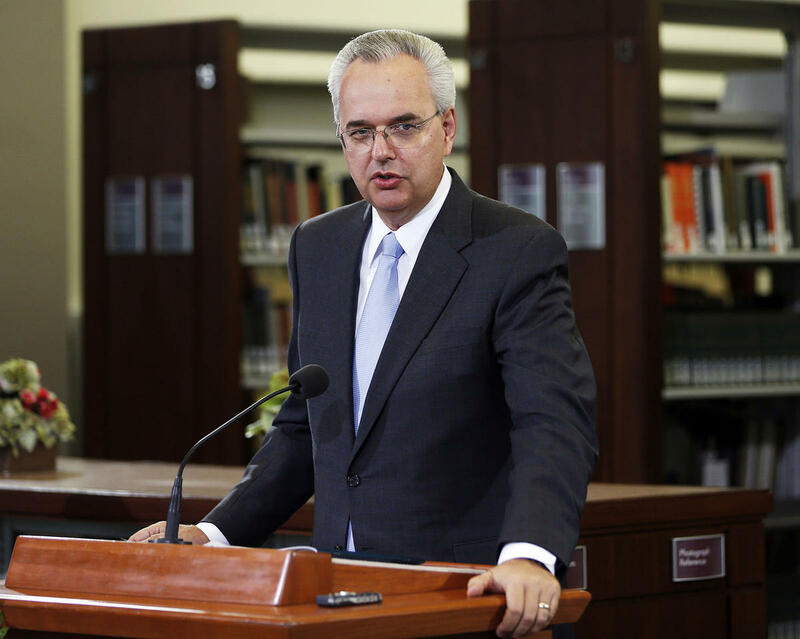 James J. Hamula was released from a midlevel leadership council based on disciplinary action by the religion’s highest leaders, said Eric Hawkins, a spokesman for The Church of Jesus Christ of Latter-day Saints. Hawkins didn’t say why Hamula was ousted, but the Utah-based church said it was not for apostasy, which refers to teaching inaccurate doctrine or publicly defying guidance from church leaders. Efforts to reach Hamula at listed phone numbers were not successful. The last church leader removed before Lee was Richard R. Lyman, who was excommunicated in 1943 for adultery but baptized again 11 years later. Hamula became a member of a group called the “General Authority Seventy” in 2008. It is a group of nearly 90 leaders who sit below the church president, his two counselors and two other levels of leaders. They help run church operations by serving as a bridge between local lay leaders in Mormon congregations around the world and the top leaders working at church headquarters in Salt Lake City. Hamula’s removal is surprising because he was well-regarded and was even considered by some outside Mormon scholars as a possible candidate to join the high-level Quorum of the Twelve Apostles when the church was filling three vacancies in 2015, said Matthew Bowman, a Mormon scholar and history professor at Henderson State University. Hamula was not chosen, but he was still considered an up-and-comer destined for more important assignments, Bowman said. In recent years, Hamula served in important roles as assistant executive director of church history and executive director of a department that reviews all documents published by the church. “He had a promising future,” Bowman said. His removal will likely be talked about among some of the nearly 16 million worldwide members of the Mormon religion, but it may not cause a huge stir because it may be the first time many have heard of Hamula, Bowman said. Hamula was born in Long Beach, Calif., and is married with six children, according to his church biography. He was a lawyer until joining the leadership council in 2008. That year, he gave a speech at a Mormon conference watched by millions about choosing good over evil.